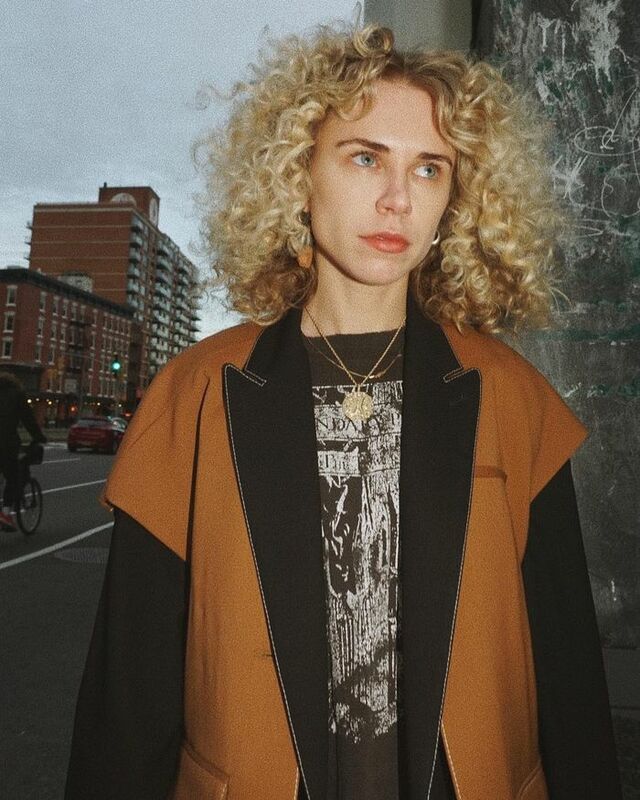 When I spotted L.A. cool girl Courtney Trop rocking what I thought was a professional perm during New York Fashion Week back in February, I was on the verge of calling up my hairdresser and booking in for a bit of chemical curling myself. That is, until she took to Instagram Stories to declare her love for a little-known hair tool called the Chopstick Styler. Was I intrigued by perms? Absolutely. I couldn't wait to try this new approach to hair curling for myself. The first thing that sets the Chopstick Styler apart from other tongs that I've used in the past is the fact that its square. Yes, unlike the round barrel of traditional curling tongs, the Chopstick Styler has edges to produce a slightly squared-off curl, rather than a soft, round one. 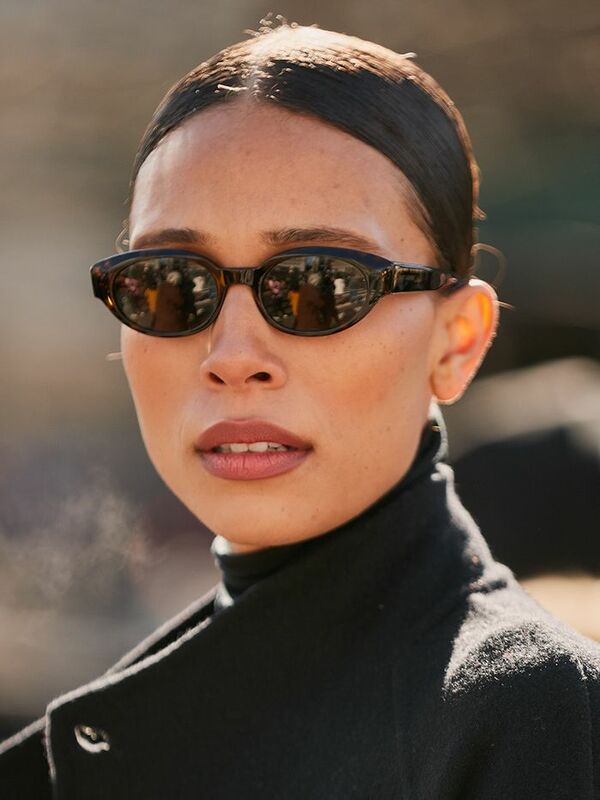 A representative for the brand explained that "the atoms in your hair are held tightly by hydrogen bonds, which become weaker when hair is applied. By having edges to the wand, squarer curls are produced which means they are set more securely and therefore drop-rate is reduced." So if you've ever let your hairdresser's with bouncy waves only to find your hair is poker straight a couple hours later, this might just be the tool for you. There are four different models available depending on the type of curl that you want to create. The Hero option creates voluminous, wild, tight curls that are made to last and is the curling tong that Trop used to create her perm-effect style. "For everyone asking, I curl my hair with this chopstick curling iron in tiny sections," Trop explained via Instagram Stories. "Let them sit for an hour then just brush it out and put strong hold hair spray all over!" The great thing about this hair tool is that it's not just for straight-haired girls either. "I have naturally beach waved hair, not curly," Trop said on Instagram. The brand themselves also explain that "Chopstick Styler works on naturally curly hair too, for extra defined curls." I myself have pretty unruly hair that dries into a loose, wavy curl. On days where I want more definition, I reach for a classic curling tong to tame my frizz-prone strands into sleek beach waves, so I was intrigued to see how the Chopstick Styler would compare. I opted for the Chunky option, which promises defined, glamorous curls with real bounce—a great in-between option if you aren't ready for a full head of '80s curls quite yet. Although I didn't achieve the full-on perm effect Trop and some of the fashion girls above did, I'm really impressed with the results—especially as I spent about 10 minutes creating the curls. Even better, I did this before bed (sensible, right? ), and when I woke up the next day, my curls were still intact. To get the curls, I divided my hair into two sections, starting with the underneath layer and finishing with the top layer. I took sections of my hair that were about an inch wide, placed the wand at the root of my hair and curled my strands around the barrel. After holding in place for about 10 seconds, I unwound my hair and moved onto the next section (about 12 sections of hair for each layer). Once all of the sections were curled, I brushed them through. This helps the hair to create fuzzy waves and gives the style a more relaxed, retro feel (rather than polished "prom" vibes). Trop did talk to the perils of heat styling on Instagram: "I have to warn you, it heavily damages your hair and knots it," she said. "It takes me about two hours with conditioner to brush out." Of course, there's always going to be some damage associated with heat styling, but I found that using a good hair mask before and afterwards and a protective spray during styling meant that my hair really didn't feel too frazzled afterwards. Keep scrolling to shop the Chopstick Styler, my other favourite curling tools and everything you need to keep your hair in great condition. For super-tight retro curls like Trop's, this is the curling wand to go for. I love the slightly more relaxed yet defined curls that this tong creates. This is my everyday curling wand of choice. It creates relaxed, effortless-looking beach waves. I swear by this hairbrush. It was created by a dad who was looking for a solution for detangling his children's knotty hair (cute, right? ), and it really does make light work of brushing through tangles. An incredibly versatile styling product from cool Brooklyn-based haircare brand Amika. Spray this heat-activated formula onto damp or dry hair to form a protective shield against heat, UV rays, frizz and pollution for 24 hours. The morning after I curled my hair, I sprayed a generous amount of this through my roots to revive the curl and add some extra volume and lift. Keep your hard work in place with this ultra-fine hair spray. It provides serious hold without looking stiff and brushes out easily if you want to switch up your style the next day. When I've put my hair through excessive amounts of heat styling, I always rely on this mask to sort me out. Not only does it leave hair feeling really soft and healthy, but with regular use, it actually repairs it over time. Next up, these are the products that make every day a good hair day for Sienna Miller.